Staying organized is key to keeping your productivity at its peak. 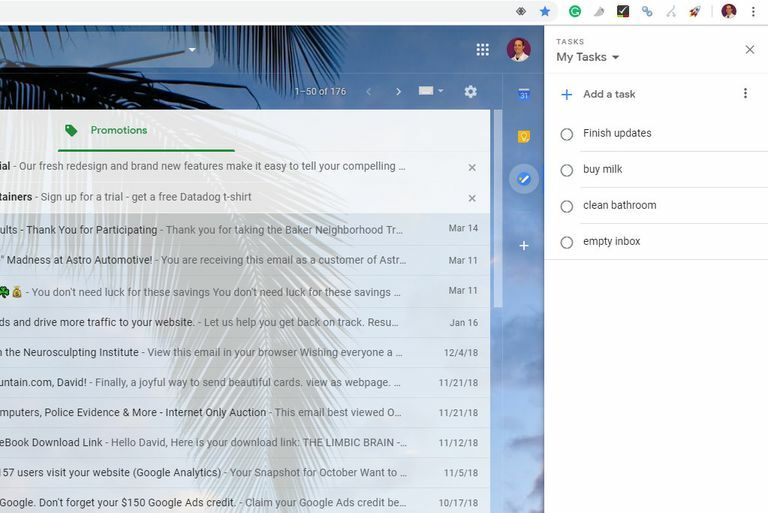 Gmail Tasks is a great way to manage your to-do list and it's easy to use. If you have more than one list in Gmail Tasks, it is easy to move an item from one to another. The lists in Gmail Tasks are designed to help you stay organized. The ability to move tasks between lists will help you do just that and there are many instances when this will be helpful. When you're running through tasks that you need to get done that week you may quickly find that one list is too overwhelming. Divide these up by day or category to make them more manageable. You might want to break up a new project into smaller steps with each becoming their own to-do list. There may also be times when a task simply didn't make it into the right list when you created it. It happens to all of us, especially when we get really busy. No matter your reason, moving tasks around is just as easy as shuffling papers on your desk. Make sure the task you want to move is highlighted. Press Shift-Enter or click on the title of the task. You will return to the task's original list, not the new one. To create a new list in Gmail Tasks, you can click the lists button (three horizontal lines) and select New list… from the menu. This will take you to the new list and deselect any tasks in the previous list. To move any tasks to this new list, you must first go back to the original list. How Do You Stay Organized With Gmail Subfolders and Nested Labels?